As a photographer I have taken countless pictures, but for this body of work I have been purchasing the photographs of others. Combing through the seemingly endless archives of forgotten and unwanted family snapshots at flea markets, yard sales, and online, I find that certain images have an unexpected personal resonance—an emotional connection that draws me to them. The familiarity of universal themes elicits my own recollections and longings. The discovery of these particular old snapshots becomes the source of a deep exploration of the nature of memory and of image-making itself. I find the experience of searching for the images utterly pleasurable as I glimpse the lives of others. The snapshots that I ultimately choose impact me in a subtle, yet profound way, evoking feelings so real that it sometimes seems as if the picture could actually be of my siblings, my parents or me. 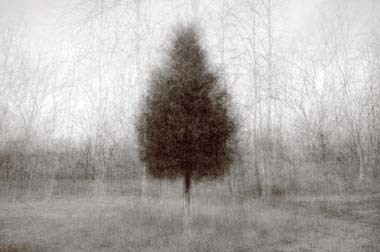 bio Carla Shapiro of upstate New York has been a visual artist working in photography for over twenty-five years. Her portfolios include photographic, mixed media and multi-media explorations about woman, aging, longing, 9/11, beauty and decay. Carla’s work has been shown nationally and internationally. She has received many awards including The Center for Photography at Woodstock, The Golden Light Awards at Maine Photographic Workshops, New Jersey Council on the Arts, New York Foundation for the Arts, (2 times), and The O’Conner Foundation. She has attended many artists’ colonies including The MacDowell Colony (6 times) and Yaddo. Carla teaches graduate school at Pratt Institute. Artist Kate Sterlin is a visual storyteller. 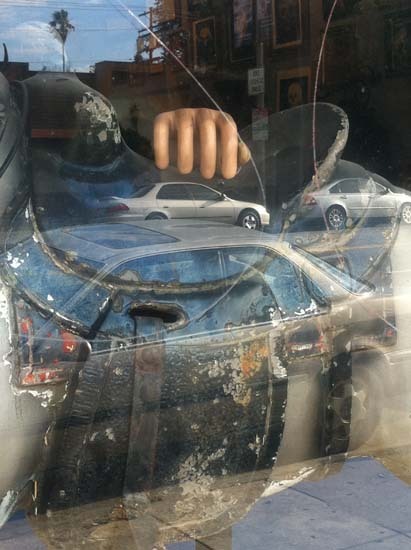 bio: Kate Sterlin is a New York based artist living in Hudson NY. For twenty-five years she has been creating a body of work in black and white which includes documentary street photography and intimate portraiture. Primarily self-taught, among those who have influenced her work is Mary Ellen Mark with whom she studied in both New York and Mexico. 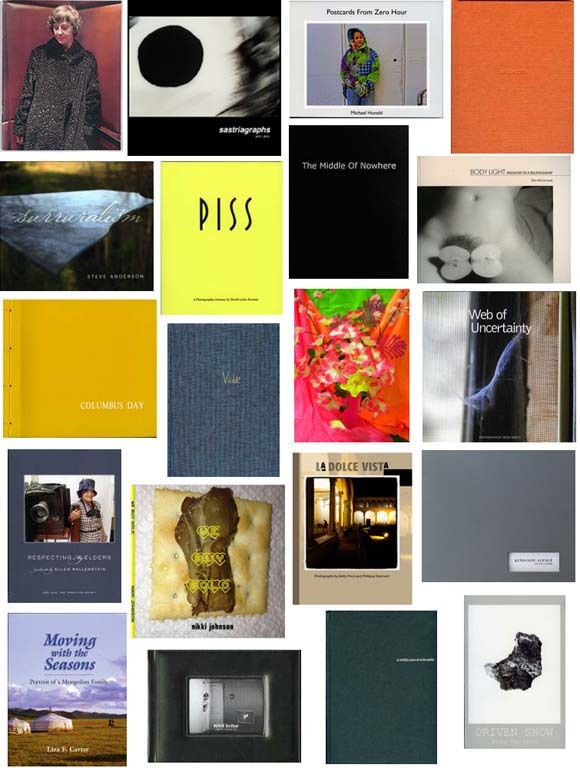 Recent solo exhibitions include Portrait of a Landscape, Basilica Gallery Hudson, NY and FINDINGS; A Waking Dream, Vernacular Press Gallery, NYC. Her work has also been included in group shows: Of Light and Dark, Hudson Opera House Hudson, NY, Hudson Independent Artist Trail, Henry Hudson Studios, Hudson, NY ; Beyond The Fourth wall, Sensei Gallery, NYC and Night Junction Semiotics: 21, Triple Crown lounge, Brooklyn NY. 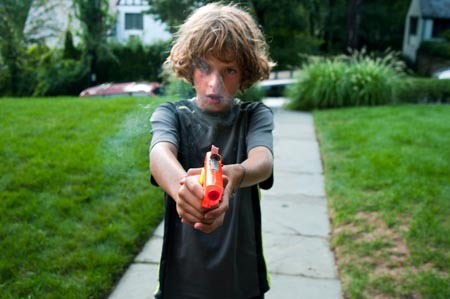 bio: Andi Schreiber is a documentary artist based in Westchester County, New York. Her images have been featured in galleries around the US selected by jurors including, among others: Caleb Cole, Aline Smithson, and Chris Verene and have appeared in online galleries and magazines including F-Stop Magazine Portfolio Issue, Photo/arts Magazine, and the influential photoblog,Lenscratch.. She is a finalist in Critical Mass 2013 and Review Santa Fe, 2013. 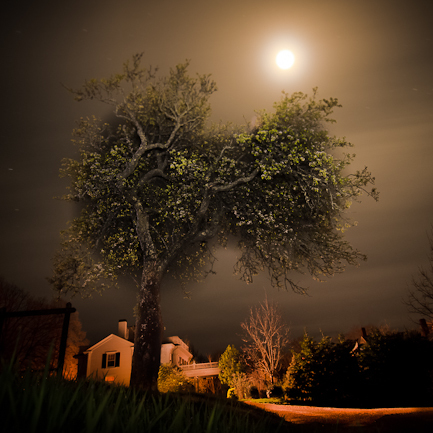 Schreiber is photographer, picture editor and designer for Eye Candy Editions, Scarsdale, NY. bio: Chicago-based photographer Shane Welch’s images have appeared in group exhibitions at Catherine Edelman Gallery, Chcago, Slideluck Potshow Chicago, the Center for Photographic Arts, Milwawkee WI, Columbia College Gallery, Chicago, the San Diego Natural History Museum and online at SocialDocumentary.net. His personal and commercial work has been featured in numerous online and traditional magazines. … I didn’t start out as a dog photographer When asked to describe what I do, I reply, I am a documentary/fine art photographer; my work deals with social issues and beauty. I have worked on subjects ranging from breast cancer, to mental health, to the decline of a neighborhood steel community, to urban life in India. 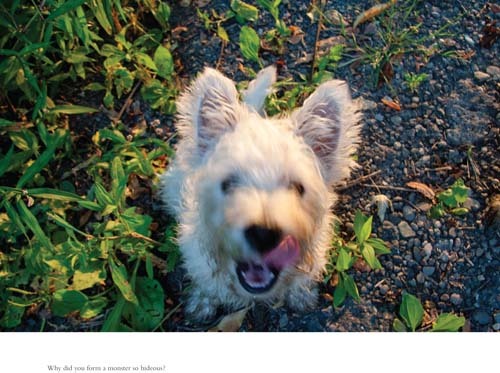 Four years ago, as I was transitioning from analog to digital photography, I used my dogs to become comfortable with my new camera, software, and inkjet printing. As subjects, Sam and Max were superb. They never said no to photo shoots cloaked as walks, and responded well to direction when bribed with treats. With a stack of new prints, I shared this young work with colleagues. One earnestly asked, “But what have you really been up to?” Had I lost my marbles? As I continued to probe what I wanted this work to be, I started linking photographs with photographs, and then added words. These words are not mine, however. My collaborators in these works—Herman Hesse, Mary Shelley, Fyodor Dostoyevsky, to name a few—are known for their insights into the human psyche, the beauty of their language, and their deep understanding of human heroics as well as human foibles. 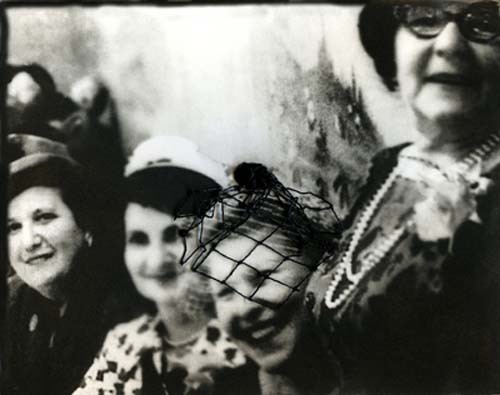 bio Charlee Brodsky is a fine art documentary photographer and a professor of photography at Carnegie Mellon University. In 2012 she was chosen as Pittsburgh’s Artist of the Year, an award given annually by the Pittsburgh Center for the Arts. Her books include: From Mall Town to Mill Town, with writers Jim Daniels and Jane McCafferty; I Thought I Could Fly… Portraits of Anguish, Compulsion, and Despair; Street, which won the Tillie Olsen Award in 2007; Knowing Stephanie, which was one of only eight books accepted in the illustrated book category of the American Association of University Presses’ outstanding books of 2004 exhibition; A Town Without Steel, Envisioning Homestead, with anthropologist Judith Modell. In 2002 Brodsky received a regional Emmy with three others for her work on Stephanie, a documentary video. Brodsky has also curated exhibitions dealing with the history of photography in Western Pennsylvania. This work culminated in Pittsburgh Revealed curated with Linda Benedict-Jones, a major exhibition at the Carnegie Museum of Art in 1997, accompanied by the book of the same name. She exhibits her work nationally and regionally, has been honored with Pennsylvania Arts Fellowships and other awards. Brodsky received a Masters of Fine Art from Yale University School of Art, and a Bachelor of Arts from Sarah Lawrence College. 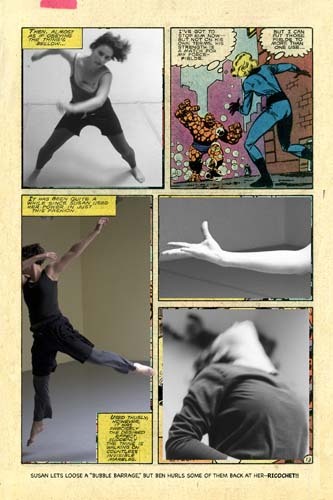 The Dancer as the Invisible Girl is a photo/comic book and a series of 20×30-inch prints. 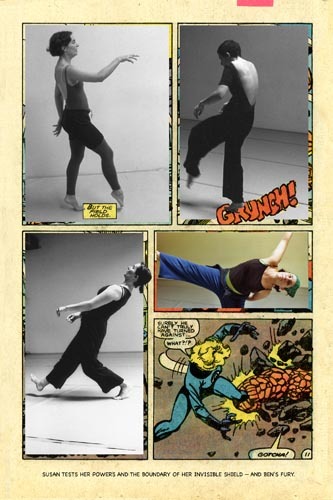 It places images of a modern dancer I’ve photographed for years into frames of a Marvel Fantastic Four (FF) comic book. The main character splits into FF’s Susan Richards, her alter ego Invisible Girl, and dancer Nicole Pierce. Comic heroes are all about gesture and frozen motion. Dancers seem superhuman as they twist, stretch, and bend their bodies. 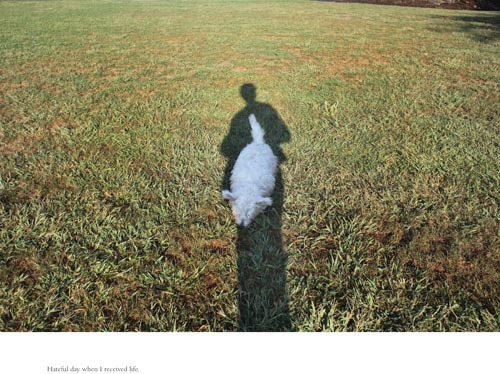 In both media, meaning derives from gesture and illusion of motion. Through the comic form I explore how movement is limited and fragmented by the frame. The primacy of the frame links comics to photography. Comic artists and photographers love cramming things into a frame, cutting the body off mid-limb, or keeping lots of space around the figure. bio: Ellen Feldman is a fine arts photographer. Her on-going emphasis is on photographs of spontaneity, reflected in street photography and her long-term project photographing a dancer. Recent work includes a series of images of toy characters in urban settings, and three books: The Dancer as the Invisible Girl (photo/comic), Les Mystères de Paris/Paris Mysteries (street photos, Paris) and A Week in Prague: Wall People / Street People. Her photographs have appeared in solo and juried exhibitions at the Griffin Museum of Photography (Winchester, MA) satellite gallery; Davis/Orton Gallery, Hudson, NY; South Shore Art Center, Cohasset, MA; Photographic Resource Center, Boston University; and Danforth Museum of Art, Framingham, MA. She has studied photography at the Maine Photographic Workshops, Fine Arts Work Center of Provincetown, and the Photography Atelier, Lesley University. She holds a Ph.D. in Cinema Studies from New York University. bio: Employing photography, video and sculptural forms, Stefan Petranek explores the subtleties of how we perceive nature through the lens of contemporary culture, especially in response to technological and scientific advances. 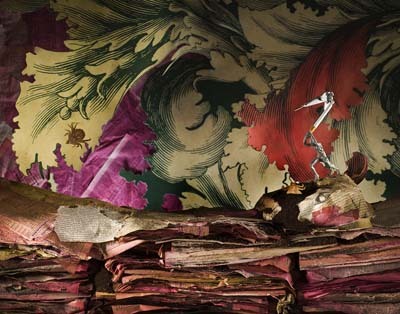 Petranek’s work has been exhibited widely in the U.S., as well as in Canada, China, and Bulgaria. In 2012, his Genetic Portrait Project was exhibited at the Rochester Contemporary Arts Center. 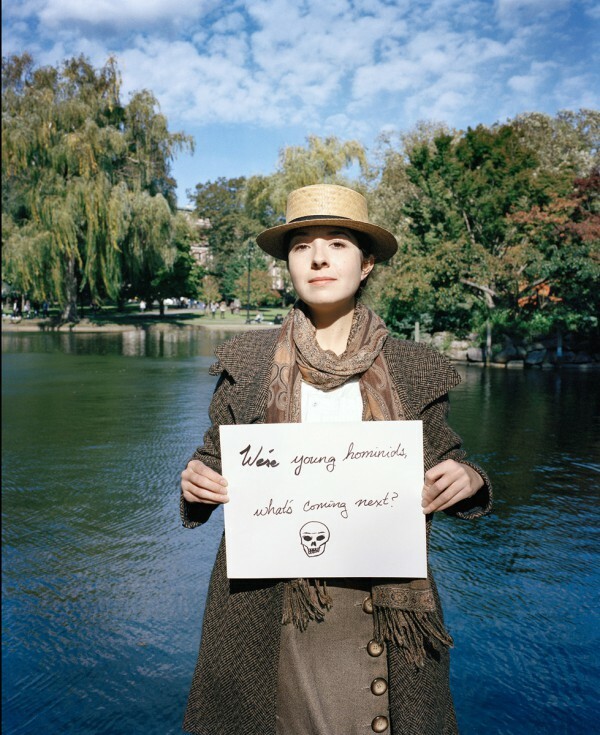 His video and photographic work were also included in Beyond/In Western New York 2010 at CEPA Gallery and his Fossils series was included in the book Water published in 2009 by Alphabet City Media and MIT Press. In Toronto, he is represented by Circuit Gallery. 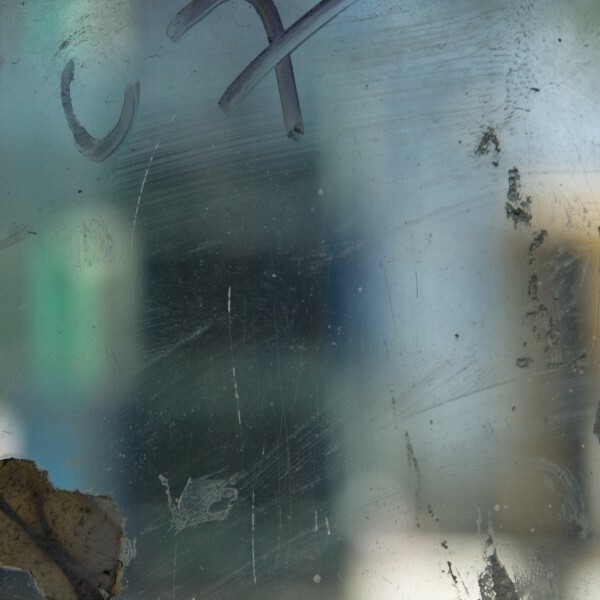 Tony Bowen’s (ongoing) body of photographs explores found glass surfaces in various locations in London and Sussex. Over time echoes of various narratives emerge, combining natural marks: detritus, moisture, weathering and deliberate ones: a tender and intimate declaration, a violent outburst, a confessional message, an incoherent gesture reminiscent of some kind of primal automatism. bio: Photographer Tony Bowen of Brighton, England divides his time between is personal projects and his work as an art and design educator. “Scratch – Urban Palimpsests” was shown at DPM Images in Brighton as part of Brighton Photo Fringe in October 2012 and work from the series has been shown in the Open House programme in Brighton; Brick Lane Gallery’s “Photography Now” show (London, Feb 2013) and the on-line “forexample.org” visual arts resource. 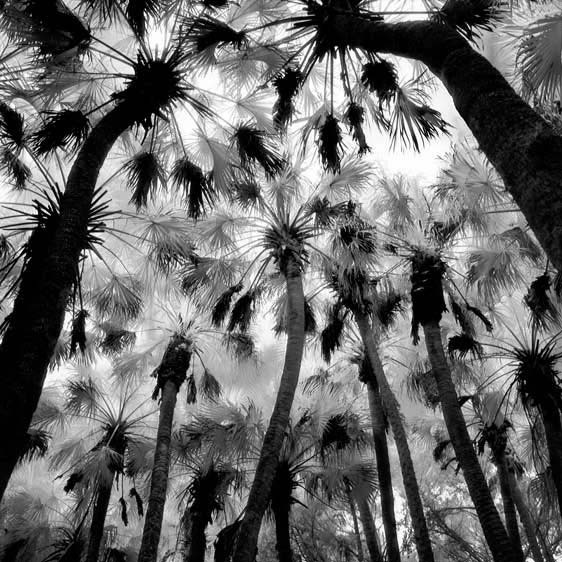 In the US, Bowen was included in the “Art of Photography Show 2012” at the San Diego Institute of Art (California) and was awarded an honourable mention in the 2012 Los Angeles International Photography Awards (California). 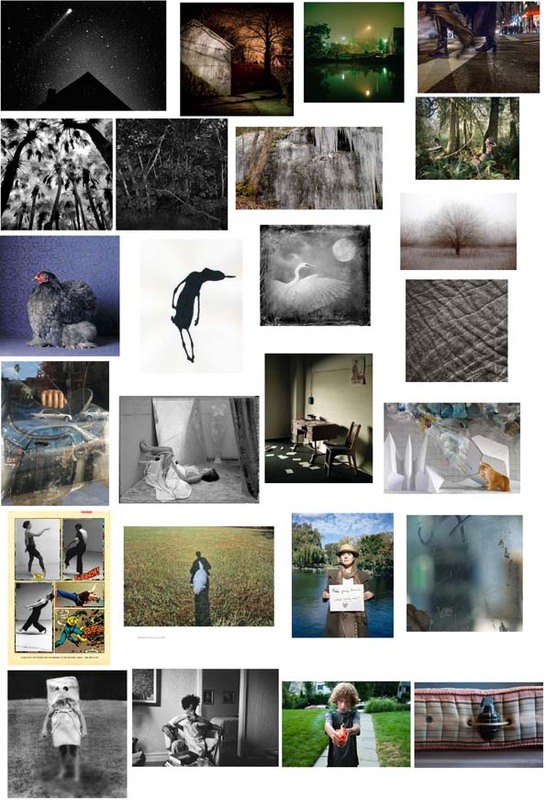 “Scratch” photographs have been presented at: Dark Room Gallery, Vermont; Black Box Gallery, Portland, Oregon; and the Kiernan Gallery, Lexington, Virginia. 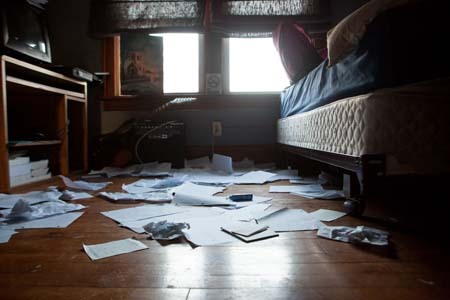 In 2013, images from “Scratch” will be featured in the publication, MANiFEST, Creative Research Gallery and Drawing Center, Cincinnati OH and in the 58th edition of F-Stop Magazine. “Janet Sternburg’s images can be understood as a school of seeing and an iconography of memory all at once.” Cultural critic Joern Jacob Rohwer. Janet Sternburg’s photographs are born from an inexhaustible desire to look; to meditate on intention and accident; to uncover the layers of time within a single moment. “I want to mingle inside and outside, layer past and present, create a fertile confusion sufficient to the richness of mind and experience.” She is attentive to those moments when everyday reality becomes charged and responds to that charge with images that convey elusive but potent meanings. 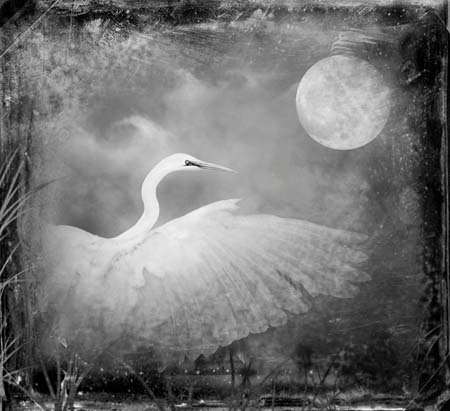 bio: Janet Sternburg works across many art forms, in images and words. She is a writer of memoir, essays, poetry and plays, as well as a fine-art photographer. 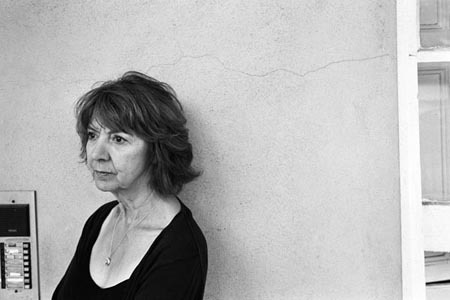 Her books include the memoir, Phantom Limb: A Meditation on Memory; Optic Nerve: Photopoems, an experiment in using photographs as stanzas; the classic two volumes of The Writer on Her Work described as ‘groundbreaking . . a landmark; and, forthcoming, The Unfeeling: A Memoir of Love and Damage. Her play, The Fifth String was produced in May, 2012, at New York’s La Mama Theater. 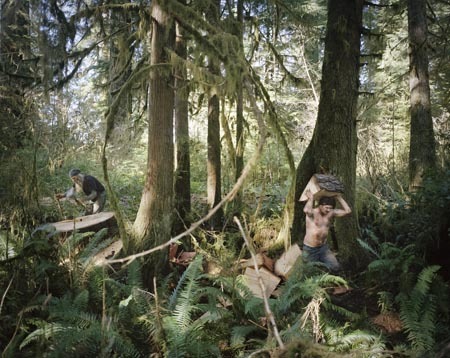 In 1998, Sternburg picked up a camera and began another life as a photographer. Her work has now been shown at museums and galleries around the world, with solo shows in Berlin, Munich, New York, Los Angeles, Mexico, and Korea where she was commissioned by The Seoul Institute of the Arts to create a full-building installation. 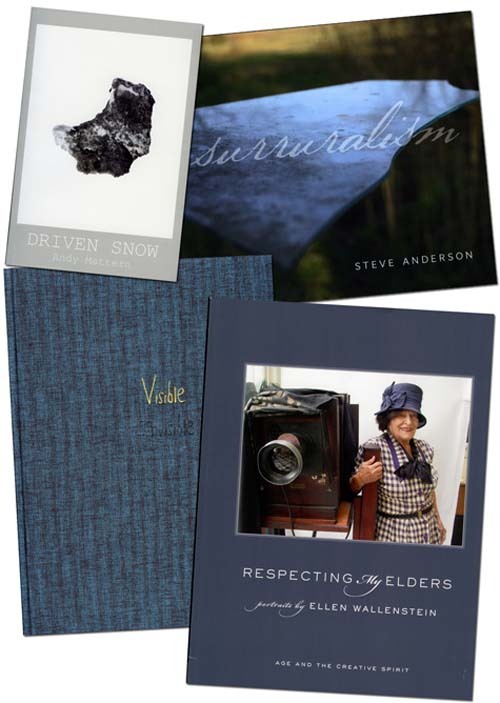 Portfolios of her work have been published in Aperture and Art Journal. She is a regular contributor to the on-line cultural journal, Times Quotidian, writing on photography and words. Barbara Kilpatrick is an interdisciplinary visual artist who unites elements of sculpture, photography and set / costume installation. “When I first saw depictions of performance art as a student, the plain, grainy photographs and unornamented text seemed to draw attention away from the document and towards the transient event. Beauty was suspect and inadmissible.” Later, when Kilpatrick began to collaborate with choreographers, she recognized this viewpoint as a particular stance, one option among many. Hoping to extend the experience of dance into the studio, she created performances for camera, in which the audience is absent but implied. These “aestheticized” performance documents link the fixed object with the temporal event, providing a memento or souvenir of the time-based action. In the photographs from her series, Venus Hum, Kilpatrick creates a world within the confines of an 8’ x 8’ x 8’ wooden box or “room”, with apertures/windows facing East and West, in a meadow in Ghent, New York. She photographed during specific times of the day and certain light conditions, using a body-cast sculpture and herself as performers, and the camera as the audience. The photographs were later sequenced along with drawings and a sound score, by Elise Kermani, that recorded the sound of the work’s making: heartbeats, sewing machines, scissors, and the strains of the tarantella. Shown here are selected gelatin silver photographs from an imaginary performance. Exuberance, in a sense, is the flip side of Venus Hum. Created collaboratively with sound designer Elise Kermani and vocalist Marty New, the work was composed in her Brooklyn studio at night, with long exposures. Here the performer “played” her body-cast sculpture as a musical instrument. By focusing a beam of light on the sensors, she activated a sound composition of pre-recorded songs and vocal texts. 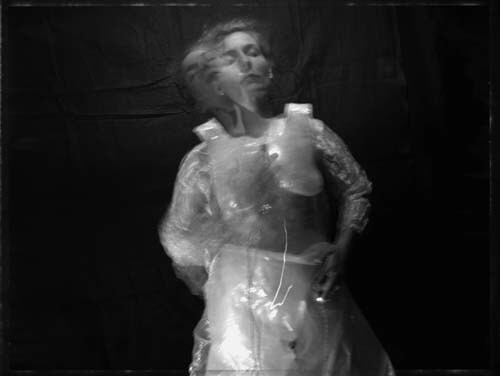 Video captured her live, improvisational performance; what is shown here are selected gelatin silver photographs from a performance for camera. 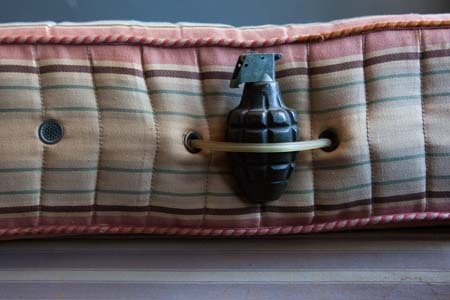 bio: Barbara Kilpatrick, of Ghent and New York City, has exhibited in solo and group shows and collaborated with numerous artists in a range of disciplines throughout the Northeast. In 2012, her work, Bearskin, a performance for puppets and movement artists, was presented at FIAF (French Institute/Alliance Francais). Solo shows include Keep-Sake: a set and sound installation for camera and imagined audience at Ancram Opera House, Ancram, New York; New Arts Program, Kutztown, PA; and On Floating Bodies, Dance Theater Workshop Gallery, New York and Embodiment: Sculpture, Photographs, and Works on Paper by Barbara Kilpatrick, Construction Company Gallery, New York. Kilpatrick’s work with dancer-choreographer Vicky Shick extending some seventeen years, culminated in a BESSIE award (New York Dance and Performance Award) for their body of collaboration. Her collaborations with sound designer-multi-media artist Elise Kermani have led to projects in performance, installation and video. She has received support and numerous grants including the MAP Fund, a program of Creative Capital, supported by the Rockefeller Foundation (with Shick and Kermani); the New York Foundation for the Arts SOS Grants; and from the Cill Rialaig Artist’s Residency in Ballinskelligs, Ireland. Pavel Romaniko, born in a small town outside of Moscow, emigrated to the United States at age 17. 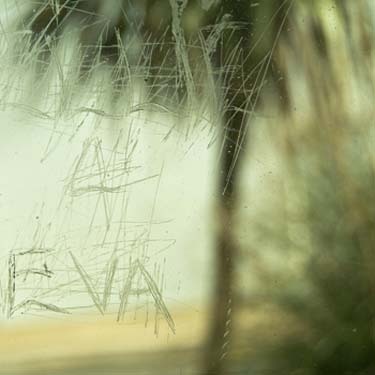 Nostalgia, an ongoing body of work begun in 2008, is a reflection on the topic of exile, home, and developing a relationship with one’s past and belonging. 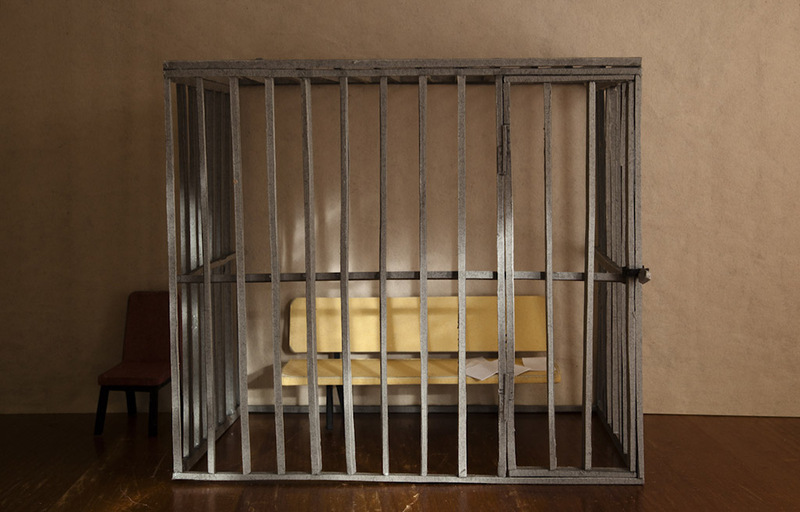 Here Romaniko depicts politically charged yet simple interior spaces through miniature sets he constructs out of paper and then photographed. These spaces are in a transient state. They are not specific to their own location; they are not geographically defined. Instead they become symbolic reflections on exile, blurred memory, and Romaniko’s longing for a relationship with his personal and cultural past. The empty, melancholic interiors are not only paper constructions, they are reconstructions created from Romaniko’s recollection of the past and found photographs. The nostalgia Romaniko feels for his personal past mirrors his native Russia’s attempts at reconciliation with its tumultuous history and its uneasy relationship with a rapidly changing present. bio: Pavel Romaniko was born in Pereslavl-Zalessky, a small town outside of Moscow, Russia, in 1980. He came to the United States at the age of seventeen. Romaniko completed a BA in Studio Arts from Northwestern College in Saint Paul, Minnesota (2002), and an MFA in Imaging Arts from the Rochester Institute of Technology (2009). Recent solo exhibitions include Nostalgia at Tyler Gallery, Northern Virginia Community College; Art Center, Orange Coast College, Costa Mesa, CA, and Glory at Gallery Kunstler, Booksmart Studio, Rochester, NY. 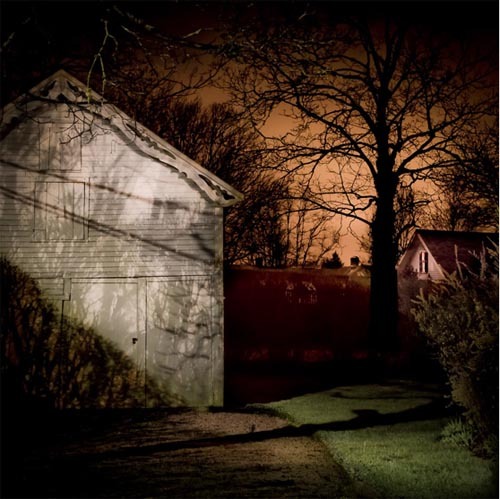 His work has been featured as part of Museum of Contemporary Photography Midwest Photographers project. Romaniko is currently on faculty at the University of North Texas, Denton, TX. 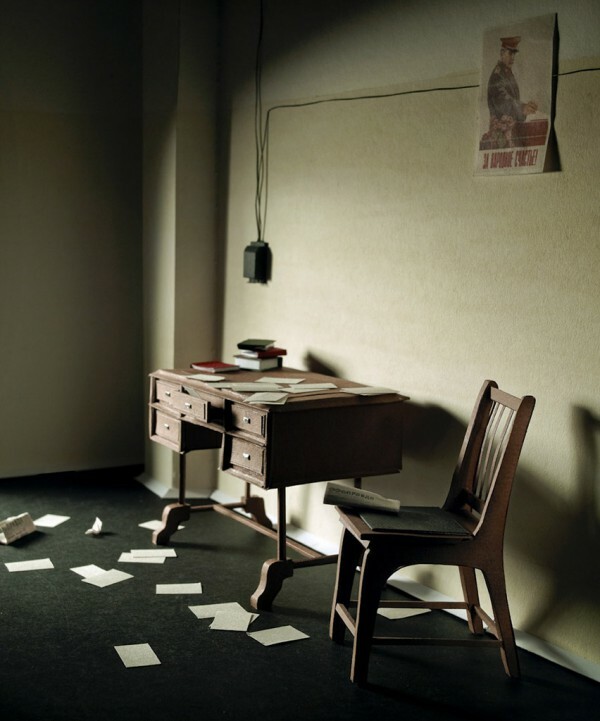 bio: James Bellucci has exhibited most recently at ISIS Gallery, University of Notre Dame, the Midwest Museum of American Art, Elkhart IN, Sage Art Center, University of Rochester and, Pingyao International Photography Festival, Pingyao, China. He currently works at University of Notre Dame teaching within the College of Arts and Letters, managing photographic studios and equipment and providing academic support. He has been an adjunct professor at University of Rochester, SUNY Brockport and Monroe Community College and has also worked at the George Eastman House International Museum of Photography and Film, located in Rochester, NY, where he initiated a museum-wide digitization protocol for permanent collection materials by way of a federal grant from the Institute for Museum and Library Services. Bellucci received his B.F.A. in photography from Shepherd University and M.F.A. in Imaging Arts and Sciences from the Rochester Institute of Technology. Tamara Staples celebrates champions of the chicken world. Her intent is to create a portrait of each bird that shows it’s unique qualities and commands respect. Staples styles each portrait using light and backgrounds of lush fabrics and papers to elevate her subjects in the same way that Dutch painters used such materials to denote wealth and prestige in society. She spends between ten minutes to a half an hour for each portrait session. Of course, it all depends on the mood of her models. PDN self-promotion award. Recently, her work inspired a play that ran off-Broadway, entitled Still Life. Staples lives and works in New York City. 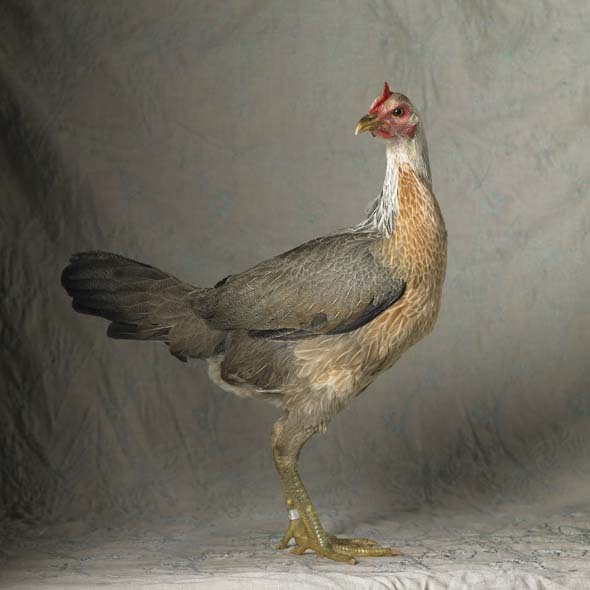 About the birds: While today we equate chicken with food, there is an existing culture that aims to perfect these birds through breeding based on a book entitled, The Standard of Perfection, first published in 1874. 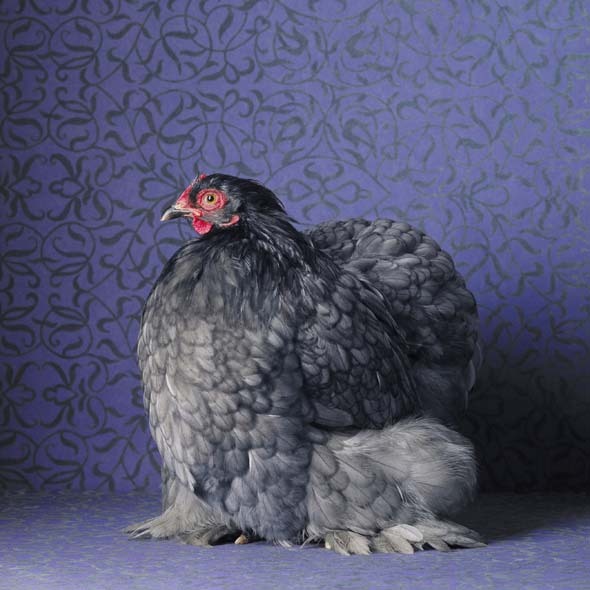 At poultry shows all over the world, known as The Fancy, chickens of all shapes, colors and sizes await their judgment. Each breeder spends years creating a work of art, where genetics is key. And each bird IS a work of art, from the amount of toes on each foot to the wingspan, from the color to the weight. These birds are bred solely for show and live luxuriously into old age. Rebecca Doughty’s work is distinctive for its comic and tragic animal figures. 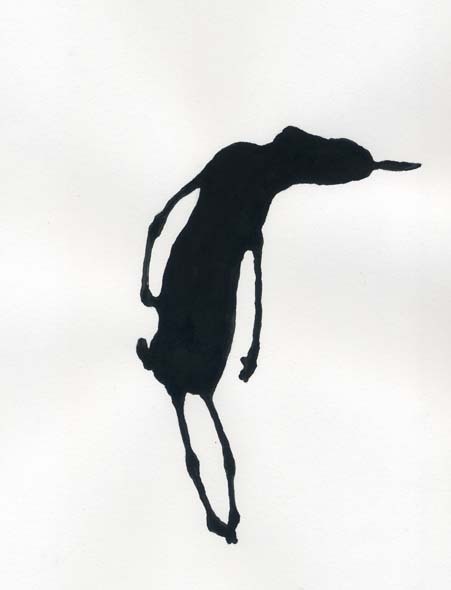 In these new drawings she departs from her narrative line-based work, and brings her character companions to life in graphic ink silhouettes. The animals appear as anonymous and shadowy, and at the same time their edges carefully articulate the peculiarities of each individual. 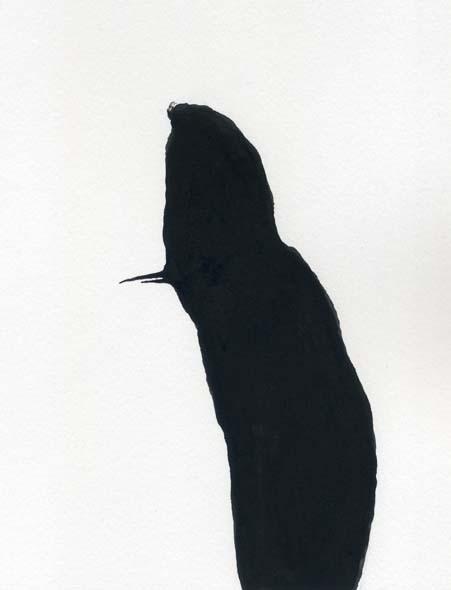 bio: Rebecca Doughty’s drawings and paintings have been exhibited in many places since the 1980’s, including The Drawing Center in NYC, The Boston Drawing Project, DeCordova Museum, Rose Art Museum, The Schoolhouse Gallery in Provincetown and the Davis Orton Gallery(2010). She has received fellowships and awards from the Ucross Foundation, The Ballinglen Arts Foundation, The Massachusetts Cultural Council, and a Best Show Award from the International Association of Art Critics (AICA) Boston. Her work is in the permanent collections of the Provincetown Art Association and Museum, DeCordova Museum, Simmons College, and private collections in the US, UK, Mexico and Japan. She lives in Cambridge, Massachusetts with her husband, poet Edison Dupree. PORTFOLIO SHOWCASE: Animals Real and Imagined. As a young girl one of Yudelson’s fondest memory was sitting on her grandmother’s porch while she showed her tintypes of her great grandmother and other loved ones. 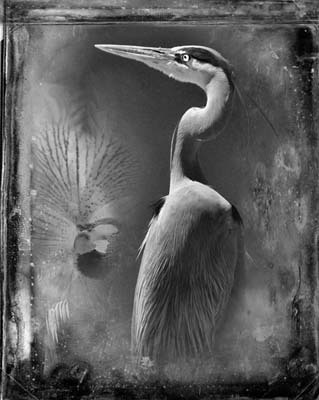 “Holding these tintypes and gazing into the eyes of my ancestors while hearing stories of my grandmother’s childhood was an experience I hold dear to my heart.” Yudelson’s series Antique Aviary is a melding of her lifelong passion for birds, wildlife photography and deep appreciation of the tintype image. 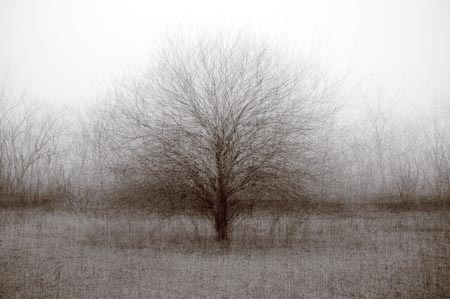 bio: Award winning artist Dianne Yudelson has exhibited her photographs internationally. Six of her images from Antique Aviary will be exhibited throughout the summer on both THE FENCE in Brooklyn Bridge Park as part of the Photoville Festival and THE FENCE in Boston’s Rose Kennedy Greenway as part of the Flash Forward Festival. Yudelson’s most recent awards include “Photographer of the Year” Honor of Distinction at the 6th Annual Photography Masters Cup and Grand Prize Winner in the New York Center for Photographic Arts Winter Exhibition. 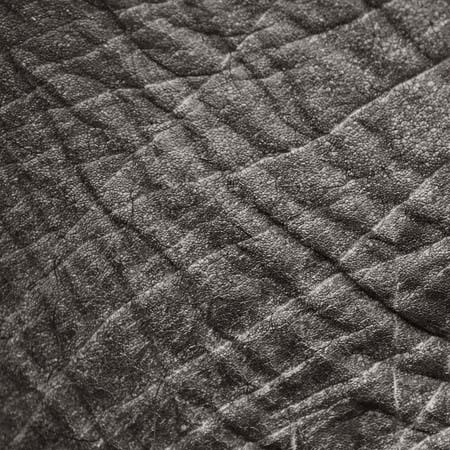 Jim Nickelson photographs elephants residing at Hope Elephants, a home for older and injured elephants in Hope, Maine. 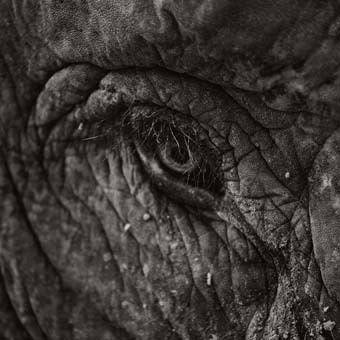 Elephants and their ancestors have existed since times primordial, and close study reveals echoes of those primordial times. The richly textured folds of their skin conjures up visions of both dinosaur-trodden landscapes both real and imagined. 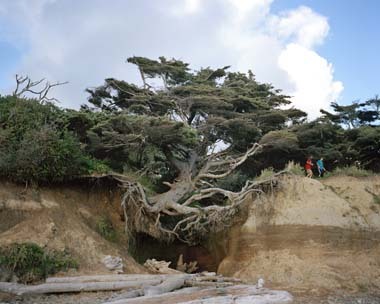 bio: Photographer Jim Nickelson, based in midcoast Maine, has exhibited his work widely including the Center for Maine Contemporary Art, Rockport ME; Three Columns Gallery at Harvard University; Center for Photographic Art, Carmel CA and Gallery Photographica, San Francisco. 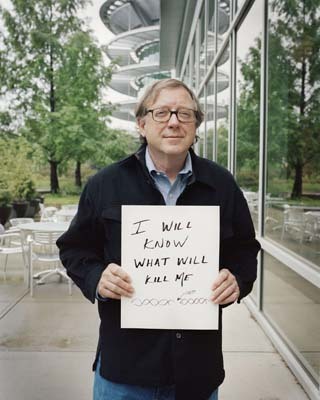 His work is held in corporate, public and private collections across the United States. Nickelson is a master digital printer and teaches workships privately and at Maine Media Workshops. Before committing himself to photography he was a NASA engineer and corporate lawyer. 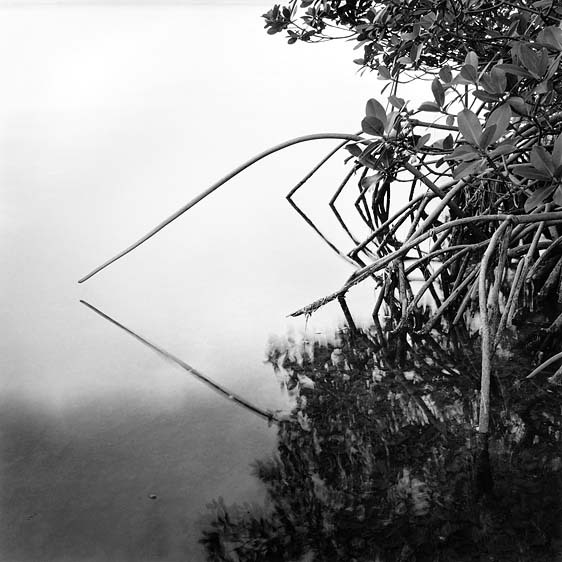 bio Benjamin Dimmitt’s photographs are in the collections of the American Academy of Arts and Letters, New York; Florida Museum of Photographic Arts, Tampa; the Museum of Fine Arts, Houston; and in corporate and private collections. 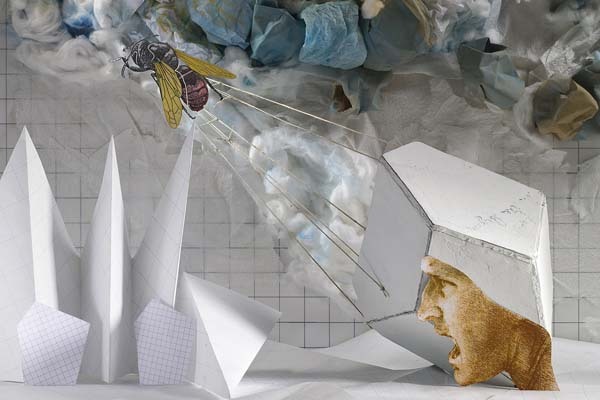 He has exhibited internationally with solo exhibitions including Clayton Galleries, Tampa; Eckerd College Gallery, St. Petersburg and Florida Museum of Photographic Arts. His work is represented by Clayton Galleries in Tampa and the Hagedorn Foundation Gallery in Atlanta. Dimmitt’s photographs have been featured in South X Southeast Magazine, Photo District News and The New Yorker: Photo Booth Blog. He has taught at the International Center of Photography, New York since 2001 and will also be teaching at the Bascom Art Center, Highlands, NC this year. At dawn and dusk, Debi Milligan observes the conversation between light and form – the way everything is transformed through the light; now here, then suddenly gone forever. She waits, watches, and works to claim a specific moment. Day into night, night into day, the minute movements of the light and air. 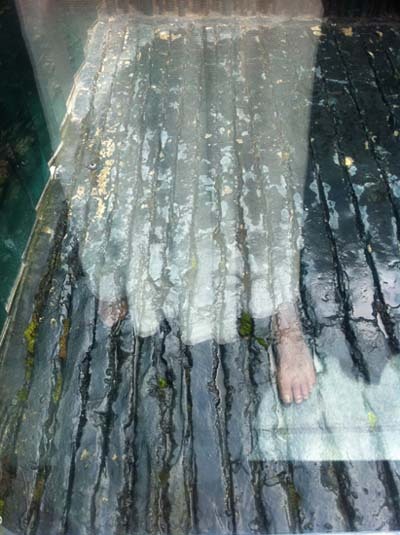 bio Debi Milligan, portraitist and fine art landscape photographer, has exhibited her photographs in group shows including Art Institute of Boston, Newton Art Center, Folklore Museum – Rome Italy, Wooster Gallery, New York and New England School of Photography, Boston. Her portraits of authors and musicians including Marge Piercy, Tom Perrota, Mameve Medved, Alice Hoffman, Sue Quinn and Jill Stein appear on book jackets and CD covers. Debi has taught photography at Cambridge Rindge and Latin School (CRLS) in Cambridge MA since 2004. Among her numerous teaching awards and grants, she is the recipient of the Power of ART Award from the Robert Rauschenberg Foundation. Prior to CRLS she taught Classical and Contemporary Portraiture at the New England School of Photography in Boston. She holds an MFA from University of Massachusetts and BFA from University of Denver. Keiko Sono’s 110 Days of Winter is a high definition single channel video installation. 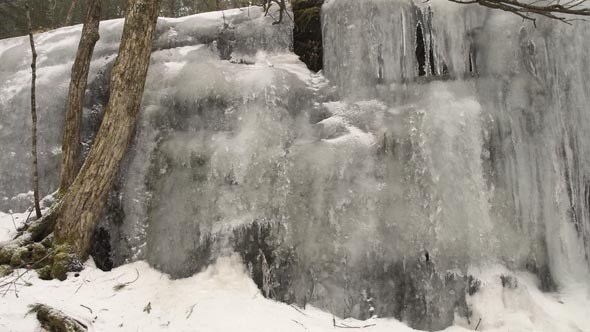 It follows the formation and evolution of an ice layer on a Catskill boulder, beginning and ending with a bare rock wall from December to April, condensing the five-month-long process into a 40-minute loop. The slow change is barely perceptible at first, yet once the eye is settled, the morphing of ice and shift in light manifest from within. “My goal in this project is to provide the audience with a space where one can slow down and be immersed in the sensory experience, while being mindful of the changing environment we are in.” 110 Days refers to how many days there were in 2007, when the original photos were taken, from the first sign of ice to its disappearance. But last winter (2011–12), there were about 70 days. While the video on a seamless loop repeats the process endlessly, the actual ice layer may cease to return in the coming decades. 110 Days of Winter is sponsored by Artspire, a program of the New York Foundation for the Arts. bio: Keiko Sono designs contexts. She uses visual media, video, blogs, and social media, to create events and projects that focus on connections rather than elements. She evaluates her works in terms of how many new connections are made, how much the existing ones are strengthened, and how many people or things benefit from them. 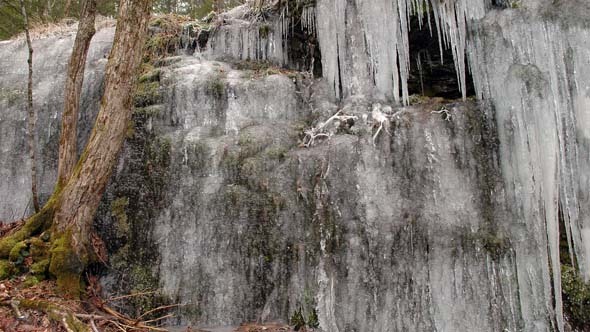 Her works range from deeply personal and contemplative, which deepen her connection with the natural environment (110 Days of Winter) to widely accessible and interactive, creating robust networks within the community. Highlights in her artist’s career include: a fellowship from the Pollock-Krasner; a solo show in the project room of Art Tower Mito (the Museum of Contemporary Art in Mito, Japan); featured artist represented by Gallery Side 2 (Tokyo) in Art Forum Berlin. She is a NYFA MARK 2011 artist and received NYFA fiscal sponsorship for her video project, 110 Days of Winter. Recent shows include After the Trace at KMOCA in Kingston, NY; MARK on MAIN in Catskill NY; and The Sky is Falling! at Kleinert/James Gallery (Byrdcliffe Guild) in Woodstock. Her upcoming shows include a window project at Imogen Holloway a solo show at Roos Arts in Rosendale (October 2013). Sono is an adjunct instructor in art at Empire State College, and owner of Flick Book Studio, an open studio for connecting artists of all ages through learning and producing stop-motion animation. bio Kent Krugh is a fine art photographer, living and working in Greater Cincinnati, OH. Krugh’s work has been exhibited at Fringe Festival 2010, Cincinnati, OH; FotoFest 2011, Houston, TX; and FotoFocus Biennial 2012, Cincinnati, OH. In 2013 he will have solo exhibitions at the Carnegie Arts Center, Covington KY; Clifton Cultural Art Center, Cincinnati, OH, Cleremont College, Batavia OH and in multiple exhibitions at ZOOMFEST 2013, Medellin, Columbia, South America, where he will also teach under the auspices of the Universidad de Antioquia. Krugh has received numerous awards in national and international print and portfolio competitions, including 2012 Critical Mass Finalist. bio Anna Beeke’s work has been exhibited at both Aperture Gallery and ClampArt in New York City and at international galleries and festivals including the Recontres d’Arles; Pingyao International Photography Festival and “reGeneration2: tomorrow’s photographers today” exhibition and book by the Musée de L’Elysée in Lausanne, Switzerland which has been traveling internationally from 2010 to 2015. 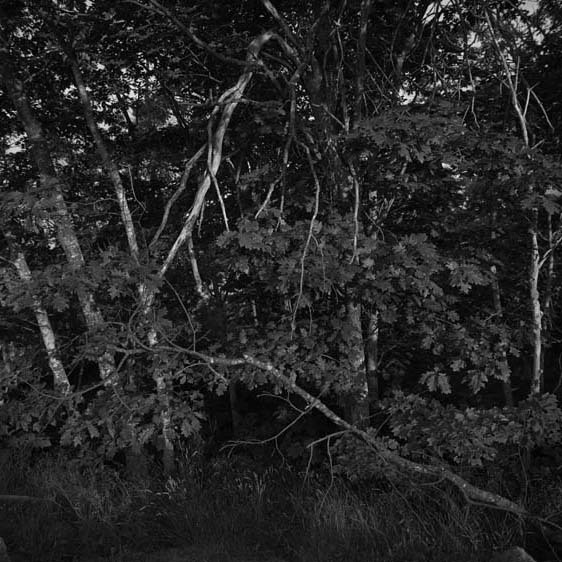 Beeke is the recipient of the Humble Art Foundation’s 2013 WIP/LTI Lightside Materials Grant and the 2013 too much chocolate + Kodak film grant. She recently received her MFA in Photography, Video and Related Media at the School of Visual Arts in Manhattan and is a graduate of the International Center of Photography’s certificate program in Photojournalism and Documentary Photography. This is a project DiRado has returned to several times over the years. 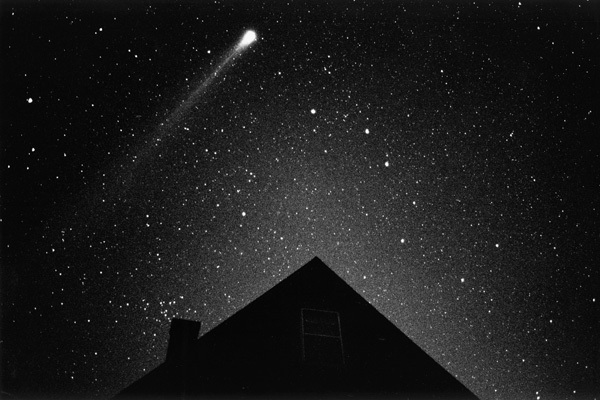 He finds a kind of humor in the structure of some of his images which may include mundane objects that are a few feet from him – for example a fence, a few yards from him – perhaps a building, a few miles from him – a fog bank, and 90 million miles away – a comet. His remarkable compositions represent a combination of intimate knowledge of the landscape, dogged persistence, passion for photography and technical decisions that come with a director’s eye. For example, in Celestial he limits exposures to 30 seconds or less to maintain the sense of the visual eye where stars hang still in the vault of the sky but other objects – satellites and planes – reveal movement. bio Photographer and experimental documentary filmmaker* Stephen DiRado of Worcester MA and Martha’s Vineyard stays close to home where he relentlessly documents the world around him. Many of his subjects span decades of scrutiny. Two of his major projects, “Dinner Series” and “Martha’s Vineyard Project” each represents almost 30 years of photography. His remarkable (insightful, informative and amusing) new film, “Summers Spent” (2013) represents the culmination of 4 years of filming his life as a working artist. 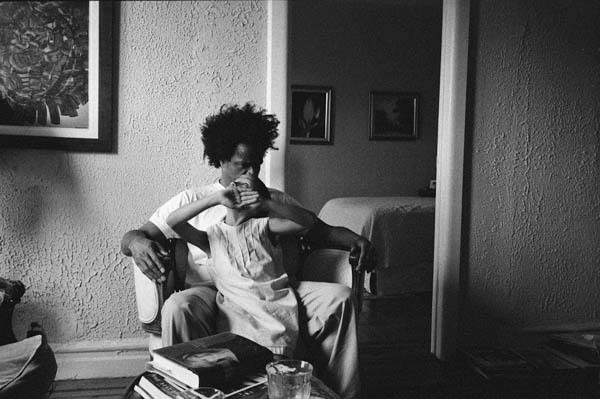 DiRado’s photographs are in the collections of the Museum of Fine Art Boston, Museum of Fine Arts Houston, Currier Museum of Art, Berlin National History Museum, New Britain Museum of American Art and the Worcester Art Museum. 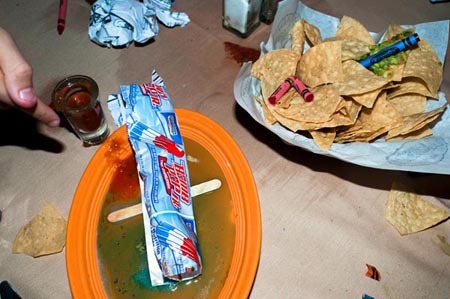 Numerous solo exhibitions at the deCordova Museum, Lincoln MA, Afterimage Photography Gallery, Dallas Tx, Houston Center of Photography and the Fitchburg Art Museum, have featured different aspects of DiRado’s series. Stephen DiRado is a Professor of Practice in the Visual and Performing Arts Department at Clark University in Worcester. He is a 2012 recipient of a John Simon Guggenheim Memorial Foundation fellowship. *Stephen’s experimental documentary DVD, “Summer Spent” has just been published. It will be available at the gallery. 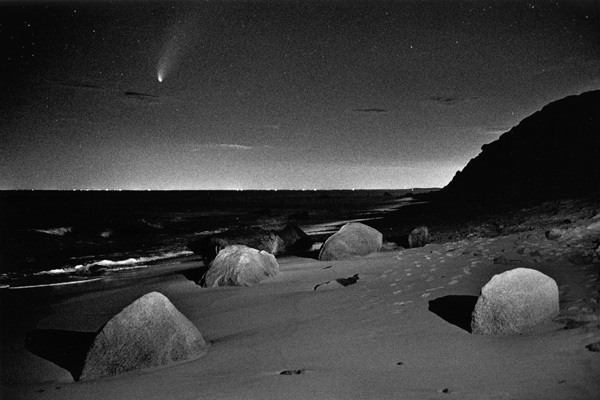 For the past year, Bob Avakian of Martha’s Vineyard has been photographing the natural landscape at night and at the break of dawn. 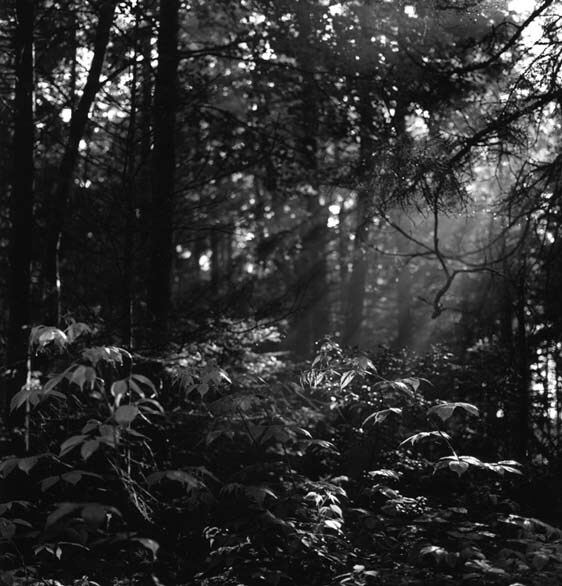 He is intimately familiar with most of the landscapes he photographs. 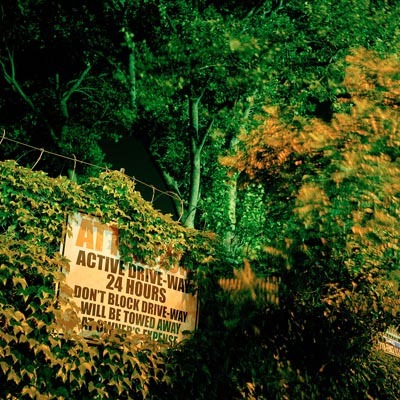 At night he use long exposures, which make it possible to turn a night scene into a day scene. In the early daylight hours, by underexposing, it is possible to turn day to night. Through his exposure and printing decisions, Avakian’s glowing prints, mastery of light and sense of place suggests a narrative where everything happens in a single moment in time somewhere between night and day. bio Emerging artist Bob Avakian and his wife visited Martha’s Vineyard for the summer in 1973 and it has been home ever since. Trained in architecture, engineering and building, for years he worked in the construction field as a custom homebuilder. After finding himself in management, removed from the satisfactions of hands-on involvement, he turned to photography as a means of self-expression. As his photographic vision has evolved, he has been drawn to the natural landscape and an exploration of night photography. 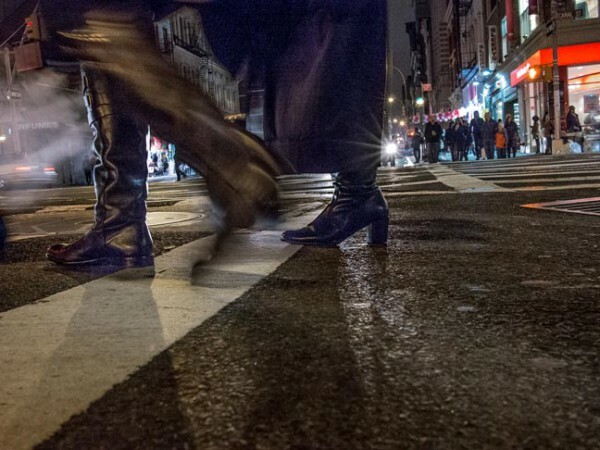 Selected through the gallery’s Portfolio Showcase competition, the gallery is also featuring outstanding portfolios by Susan Bowen, “Legs and Feet” and Miska Draskoczy, “Gowanus Wild”. Susan Bowen’s work, “Legs and Feet”, is about motion – the intense pace and vitality of the urban setting. “I like to shoot fast and furiously, to be totally immersed and to be swept up in, and along with, the tide of the moment. I enjoy the element of chance in my photography. 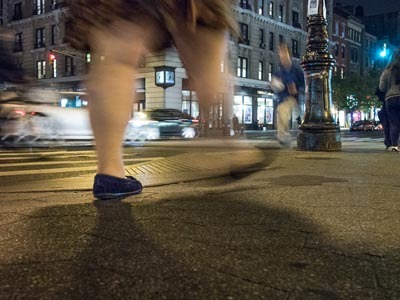 I like to be spontaneous in my shooting and see what surprises that brings.” The portfolio presented at the Davis Orton Gallery is a subset of her project “People Walking” and focuses on legs and feet and are shot at night at various busy street corners in New York City. The vantage point is low; Bowen sits on the ground with a small tripod and rapidly capturing people as they walk by. The slow exposure speed she selects makes for surprising outcomes: one foot in sharpness and the other totally blurred; multiple people walking together might seem to be a single person with mis-matched feet; the swirl of fabric might create a dynamic abstraction. bio: New York artist Susan Bowen has been featured in one and two person shows in New York, Las Vegas, Pittsburgh, Reno, Dayton, San Marino, and Lubbock. She has been in numerous group shows including ones at the Safe-T, Nelson Hancock, and Sideshow galleries in Brooklyn, the Photographic Center NW in Seattle, Woman Made Gallery in Chicago, and the Center for Fine Art Photography in Fort Collins, CO. Widely known for her overlapping multiple exposure panoramas which she shoots with a plastic camera, Bowen has most recently completed public art murals for a school in New Haven CT and four for the Department of Transportation in Minnesota. She has been a finalist for public art projects in Brooklyn, Iowa, Tampa, Indianapolis, Kansas City, and Texas. Bowen has been profiled in Photo Techniques and Light Leaks magazines, published in Light and Lens: Photography in the Digital Age, and received an award in the Pilsner Urquell International Photography/Lucie 2007 Awards. 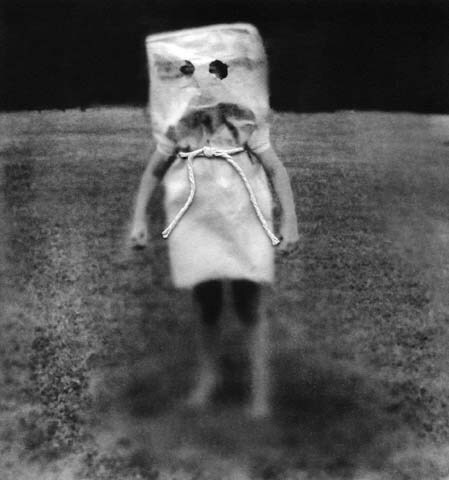 Her photographs have also been published in Plastic Cameras: Toying with Creativity, a book by Michelle Bates. Silence. A lack of humans. Light on textured abstraction. Lumbering forms unfolding all around you. These are the qualities one thinks of when experiencing ‘wilderness’. 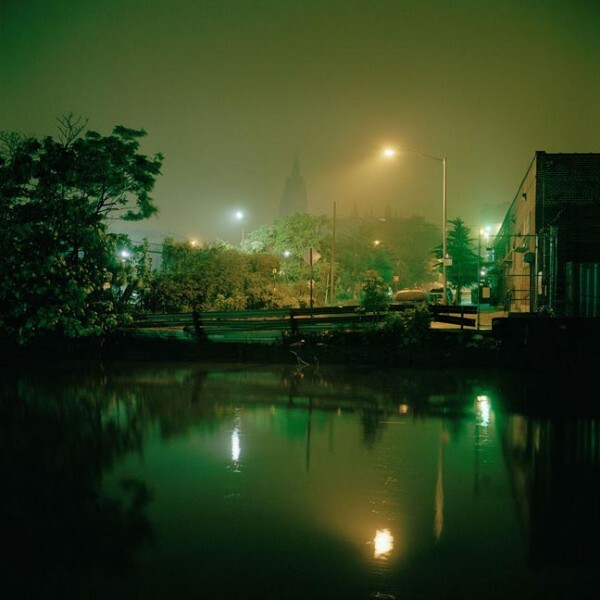 Wandering the industrial night streets of Gowanus, Brooklyn, Miska Draskoczy experiences the same feeling of stillness, awe and liberation as one would gazing out over a remote snowcapped range. Contrary to any vision of civilized urban planning, engineered order rapidly crumbles here in this gully of organic NYC decay. Draskoczy’s vision for this project is to capture a unique marriage of opposites; the organic in the industrial, life surrounded by decay, green within blacks and grays, stillness and peace in urban chaos. The Gowanus canal is one of the most polluted waterways in the country and the neighborhood has seen continual industrial use since the 19th century. As much of the world’s population grapples with how to connect with nature while living in increasingly urban spaces, it is both a warning against disaster and a note of hope that even such in circumstances, organic beauty can still prevail. bio: Photographer and director Miska Draskoczy’s career has included diverse projects across a range of media. His photography has been exhibited in the US and Canada and most recently earned him the Portraits 2013 Juror’s Award at the Center for Fine Art Photography and the 2013 Director’s Choice Award at the Midwest Center for Photography for his series Gowanus Wild. Other projects include: cofounding a conceptual arts organization purporting to be funded by NATO (NATOarts, profiled in WIRED, i-D, ARTnews, UK Esquire); directing the surreal sci-fi shorts Perfect Heat & The Trick (screening in Fantasia Fest, Fantastic Fest, SF IndieFest, LA shorts fest, and many others); writing and developing a horror feature (Mister Gimp, Slamdance Screenplay semi-finalist) and creating a documentary web series about objects in people’s homes (Here’s the Thing…).